I found another fabulous Harry Potter themed poster print. 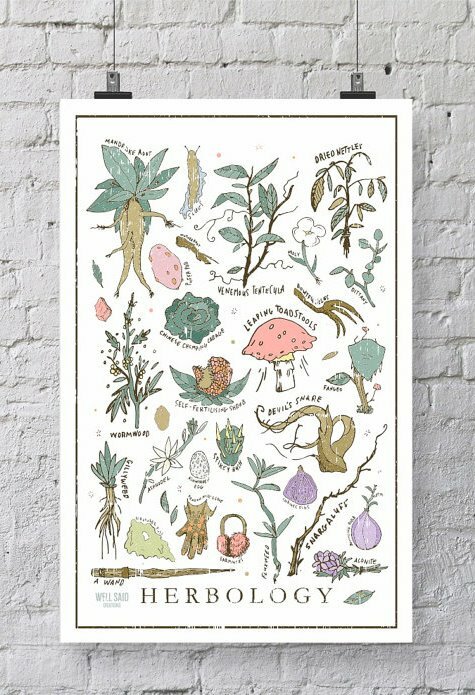 Dried nettles, devil's snare and leaping toadstools are but a few of the ingredients illustrated on this Harry Potter Herbology chart, which Etsy seller Well Said Creations hand illustrated. 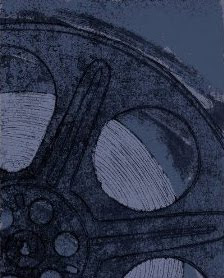 She created the image and then uploaded it to her computer to add colour and texture and to distress it. If you need extra help with your Herbology studies, then this print is for you. Muggles, wizards and witches alike will find it helpful. They will also like that it is is available in pink, black, white or cream to suit your decor whether you choose to display it in your library, bedroom, kitchen or even your baby's nursery. Visit Leah's shop on Etsy to find this and a few other fun and fabulous Harry Potter images by clicking right here. EDITED TO NOTE: This poster is no longer available. To find another great Herbology poster, visit my second page here.